Beads can be combined in an endless array of different patterns to create beautiful jewelry and other items. If you're not up for creating a pattern of your own, take advantage of any of the countless free bead patterns available online. From basic and beginner patterns to complex and advanced, there are free patterns to fit all skill levels. Most beaders start out making relatively basic jewelry, such as one-strand necklaces, basic earrings and simple bracelets. Once you've mastered these techniques it's time to get started on some more complex projects. There are numerous ways you can use beads in patterns and numerous methods of instruction, so explore a number of different sites to see what they have to offer. If you need help downloading the free bead pattern in the image to the right, check out these helpful tips. The following online destinations include a variety of patterns, styles, and techniques for you to consider. A great basic site for learning how to bead jewelry is Beadage. This site has instructions for basic beaded necklaces and earrings, as well as hemp jewelry, wire-worked jewelry and more. The gallery can also provide inspiration, though these pieces don't come with instructions. Use the notes, which explain what kind of thread or wire was used and a good description of the piece, so you can make one similar. Although Fire Mountain Gems is out to sell you something, the company's patterns section shows off its beads beautifully in the hopes that you will buy all the supplies to make yourself a piece just like the ones shown. It's still a great site for tips, techniques, patterns and projects, from dream catcher earrings to beautiful beaded animals. If you've got some time to browse, head over to bead-patterns.com. This link points you to the free section of the site, where there are nearly 300 patterns, including necklaces, bead bracelets, weaving information and patterns, stitch tutorials, rings, fringe and more. This is a great site to discover just what can be done with beads. For all sorts of easy projects visit Rings & Things. This site has a good collection of jewelry, wine glass charms, beaded projects, wire projects, macramé, crystal angels and more. Instructions are detailed and well illustrated. Scroll down on the All Crafts Jewelry page and you will find links to a good collection of free beading patterns. Many of these are for home décor projects or holiday inspired designs. There are some missing links here, but the ones that are still live are worth the effort. If you're looking for something a little different, try quilting with seed beads. Craftsy offers a free tutorial which teaches the basic technique. Once you learn it, you can apply it and create your own original designs. 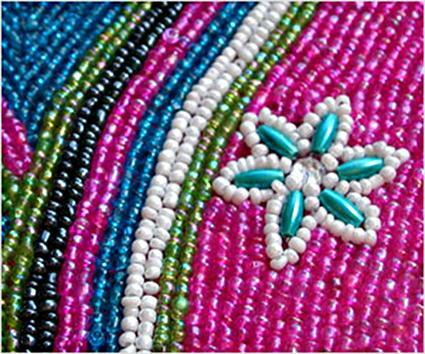 RubysBeadWork.com is also quite primitive in its website design, but the patterns themselves are well-illustrated and easy to follow. There are plenty of patterns for beaded jewelry lovers to enjoy here, from simple jump rings to intricate peyote pieces. Beading Times has a small archive of projects that cover a lot of the basics, from donuts to multiple strands. Each pattern includes plenty of pictures and illustrations to help you master each project from beginning to end. If you want to learn some of the coolest techniques, All Free Jewelry Making has quite a few seed beading projects for things like Egyptian bracelets, Russian spirals, and Tila Bead Openwork among others. 3D Beading features full-color, free, 3-D beading patterns. Each pattern offers step-by-step instructions and is well illustrated. Patterns include classics like the herringbone rope and more complicated patterns like the Goddess necklace. Kyal's Free Loom Stitch Patterns has a few different loom patterns available for free. They include simple Celtic patterns, as well as some amulet bag designs made of woven and twisted rainbows. Free Patterns features some great home décor patterns, as well as jewelry and accessories. Choose from patterns including sun catchers, cork board sets, flower pots, ornaments and more. Free Bead Projects - Includes instructions for a bracelet, ring and decor. Free Beaded Earring Patterns - Three different earring patterns for download. 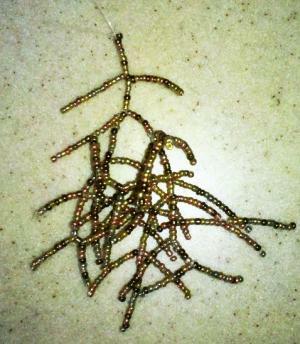 Free Seed Bead Patterns - Includes a simple wave pattern for download. The internet is a great resource for beading patterns and project ideas, no matter what your skill level might be. Before ordering patterns online or through a catalog or purchasing a book of beading patterns, take some time to browse the free offerings you can find at these sites. You just might be inspired by these patterns and save some money at the same time.